Embark on this expedition to the Terra Incognita of Patagonia, between the fjords and glaciers of Tierra del Fuego along the Darwin mountain range. This is an adventure for true nature lovers who have experience in sea kayaking and knowledge of camping in remote areas. This is only for true adventurers with experience and who require minimal logistical support. 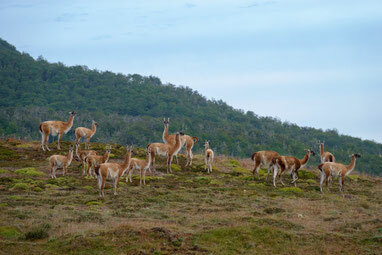 Description: In this adventure you will discover the heart of Tierra del Fuego in Chilean Patagonia. 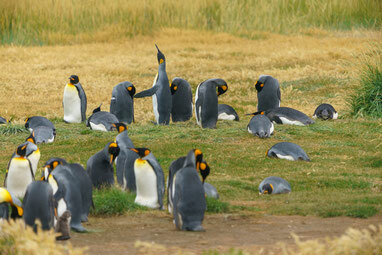 Begin to arrive at the largest natural park on the island, Karukinka, managed by the WCS Wildlife Conservation Society. Then, travel the most traveled paths and trails to the fjords of Tierra del Fuego, exploring unique landscapes and ecosystems. Then, you can navigate in front of huge ice walls in the fjords modeled by the numerous glaciers and interact with the extraordinary wildlife of the area, such as; Marine elephants, dolphins, sea lions, black breeding albatrosses, king penguins, wild guanacos, among others. This is a journey that will take you back to the historical times in which the adventures tried to conquer this untamed land. On this trip the main transport is by kayak, there will be a zodiac boat that will accompany you during all the time for safety reasons and to establish the camps. 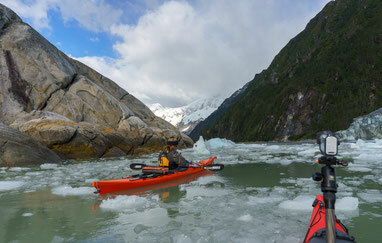 You need to have good physical condition and experience in camping and kayak techniques to enjoy this true adventure. The program of trekking, kayaking and photography among the fjords and glaciers of Tierra del Fuego in Chilean Patagonia is a form of adventure trip in the largest natural park of Tierra del Fuego, Karukinka. Once there, we have the opportunity to see the conservation work that WCS carried out there. 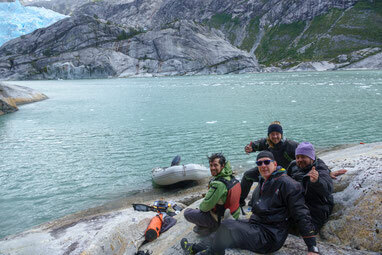 From here we move by land to reach the fjords of Tierra del Fuego to explore. In this adventure we will sail in front of huge ice walls, fjords, recently modeled by glaciers, we will see extraordinary wildlife, which include: elephant seals, leopard seals, dolphins, sea lions, black-browed albatrosses, king penguins and other species. 08:15 Transfer from Bahía Azul to the Karukinka Natural Park. 11:30 Arrival at the Karukinka Natural Park. Welcome meeting with WCS - Wildlife Conservation Society guides who will inform you about the conservation work in the park. 18:00 pm Meeting at the end of the trip for a light snack and a drink, opportunity to have an explanation of the activities for the next day. 17:00 Roast to the stick and typical activity of the estancia. 17:00 Walk to the "Amphitheater" viewpoint. Dinner and accommodation. 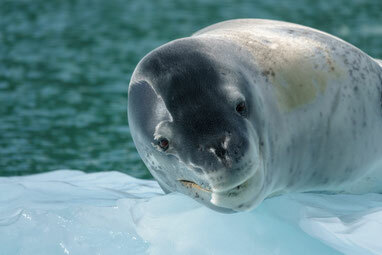 08:30 On the zodiac boat sailing, looking for the leopard seal. Kayak: Tandem double kayak, and kayak gear (skirt, paddle, poggies ,PFD) semi dry clothes Kokatat, Kayak Guide, Paddling techniques and Safety Briefing interpretative and observation of wildlife during the paddling sessions. Hiking: Interpretative walks through sub-antartic forest and vegetation.